Chrome extensions are pretty awesome, with Google's announcement for end of support for Chrome Apps, Chrome extensions will have greater importance to the game. 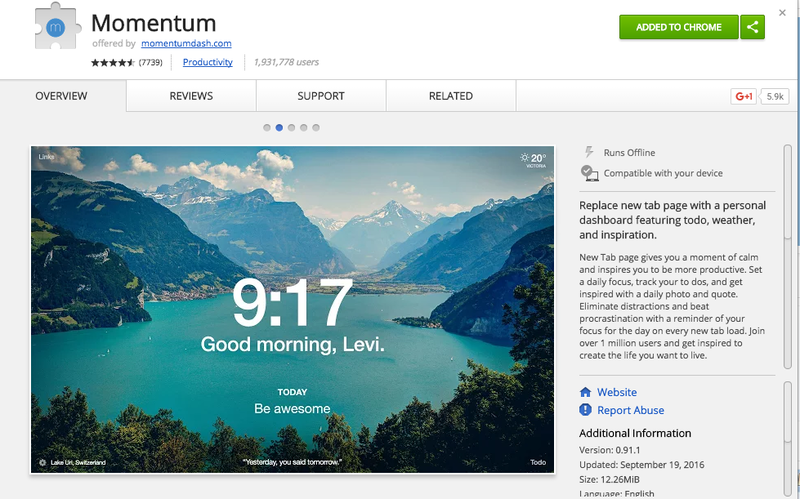 I discovered Momentum earlier today when I was watching a YouTube video of Google Hangout. 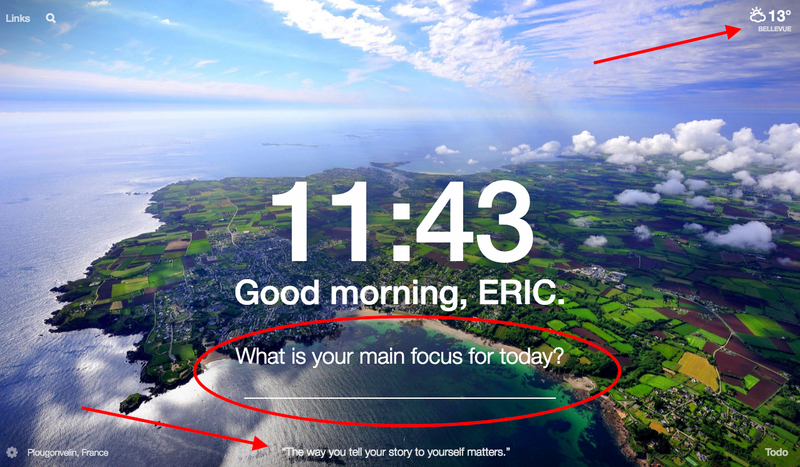 When he switch to a new tab, I saw this beautiful page that read "What is Your Main Focus for Today?". Which instinctively I asked myself "What IS my main focus for today?" So I pause the video and went on Google Web Store and found Momentum. What was a pleasant surprise is that besides the picture and weather information, you can input your own task items, cross it out, add a new item, etc. All without logging in. I enjoyed being reminded of my main focus everyday with inspirational quotes and beautiful images in the background. I hope you do too!